Decorative Life: About 7-11 days. 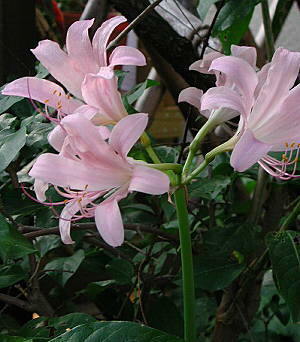 Another name sometimes ascribed to this species is Hardy Amaryllis. In nature, leaves appear first in the spring, die back, and the leafless flower stem or scape appears bearing the pink flowers. The common name “Naked Lady” is probably in reference that the flower stands bare, without leaves.